With the Houston heat officially here I always make sure I update my summer makeup routine to something more light, airy and glory. Wearing tons of makeup in the hot sun is never a good idea and the last thing any woman wants is to have her makeup running down her face and getting messed up. 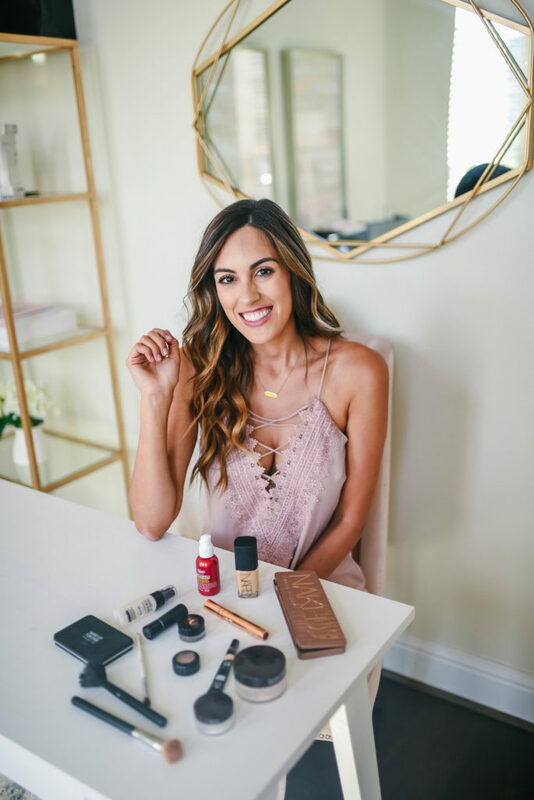 So with that being said I love to try out new makeup for the season that has been a hit in the industry and there are 3 that I am particularly loving for my new makeup routine. Kiehl’s Glow Formula Skin Hydrator– I loving this because it gives me that natural hydration that my skin needs and is also a great moisturizer for my face before I put on my makeup. You can also wear it alone or over your moisturizer. 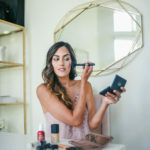 Nars Sheer Glow Foundation– For summer I do not like wearing heavy makeup because I feel like it just goes into every pore and before I know it I look way older than I should, which is not what I want. So getting a new foundation that is very light weight is ideal for me. 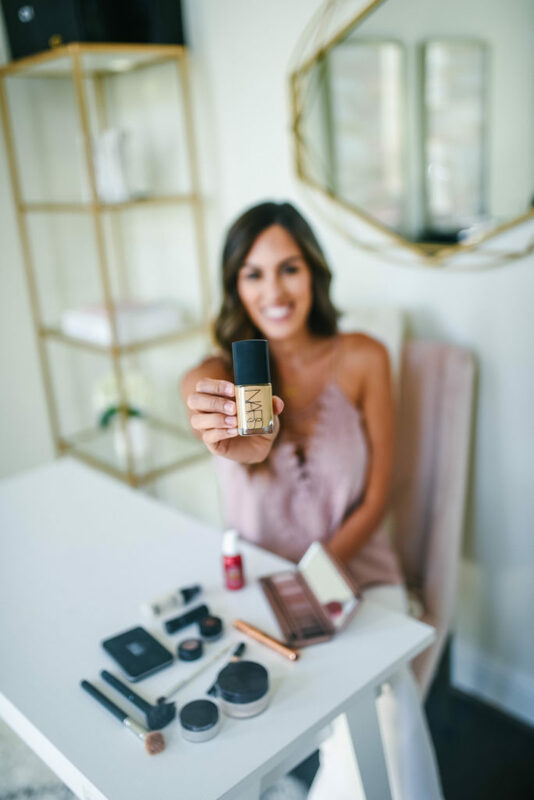 This foundation has a sheer but buildable coverage so you decide how much or little you want. 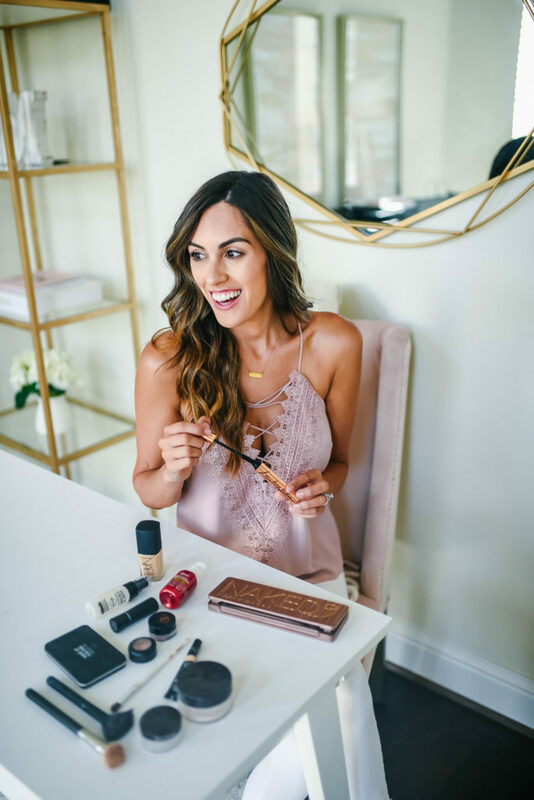 Charlotte Tilbury Legendary Lashes Volume 2 Mascara– So I have tried A LOT of mascaras in my life but this was seriously life changed. I have been wearing a lot of false lashes lately because I love how it makes my eyes pop, but now I am going for a more natural look. So a light eyeshadow and layers of this mascara transform my eyes and I love. 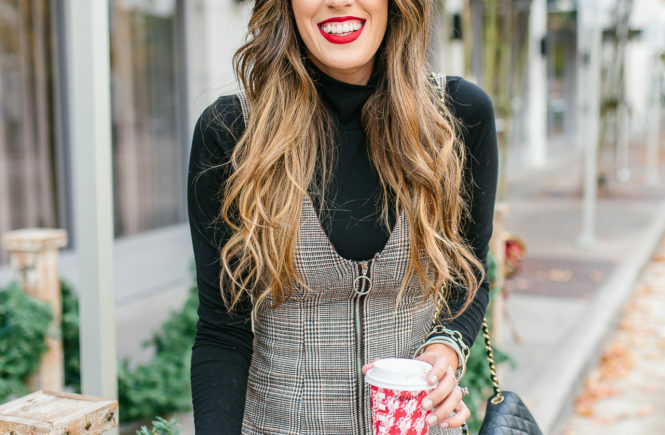 When trying to find the best new products I always head to Nordstrom. They have so many beauty products to choose from that it is seriously so hard to not want to come home with at least a $100 worth of products, but each time I am so happy doing so. All of their employees are so helpful and based off of your needs, wants and price points they can get you exactly what you need. 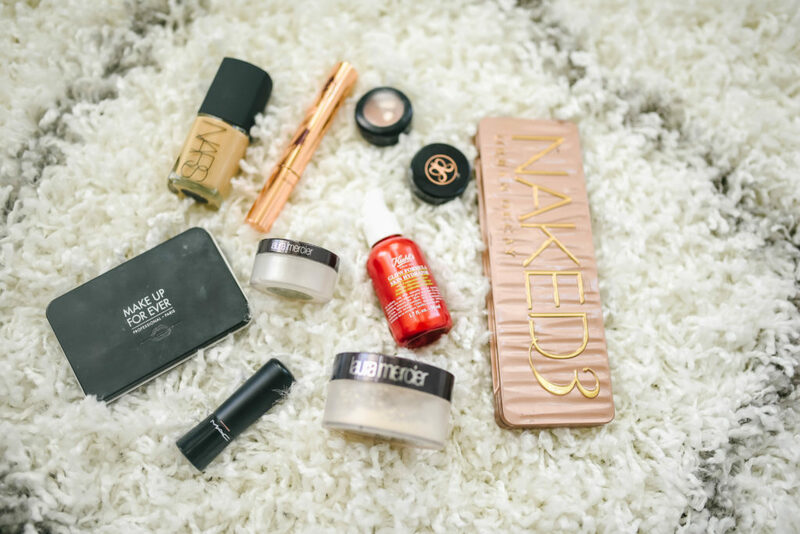 Step 1: Apply your favorite primer to face. I have used a few different ones but you will not believe what I use 99% of the time HERE. Step 3: Lightly wet a beauty blender and then place the Nars Sheer Glow Foundation over your skin. I always pat starting from my cheeks, now and down to my neck and then making my way up to my forehead. 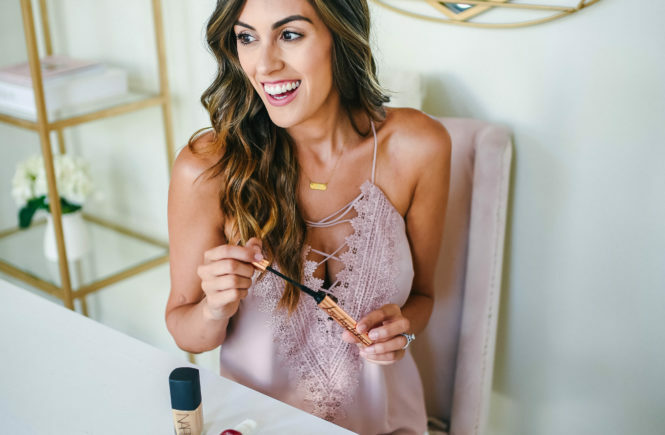 Step 4: Apply THIS concealer under my eyes and try to pick a shade that is only one or two lighter than your face skin tone so easier blending. Step 5: Apply THIS loose powder under neath your eyes to set the concealer. Step 6: Place THIS eyeshadow primer all over your eye lid. I have it in the shade PAINTERLY. Step 7: Take THIS eyeshadow palette and place the color STRANGE all over your lid. Step 8: Grab THIS eyeshadow in the color SOFT BROWN and run it in the outer corners of your eyes to make it stand out more. 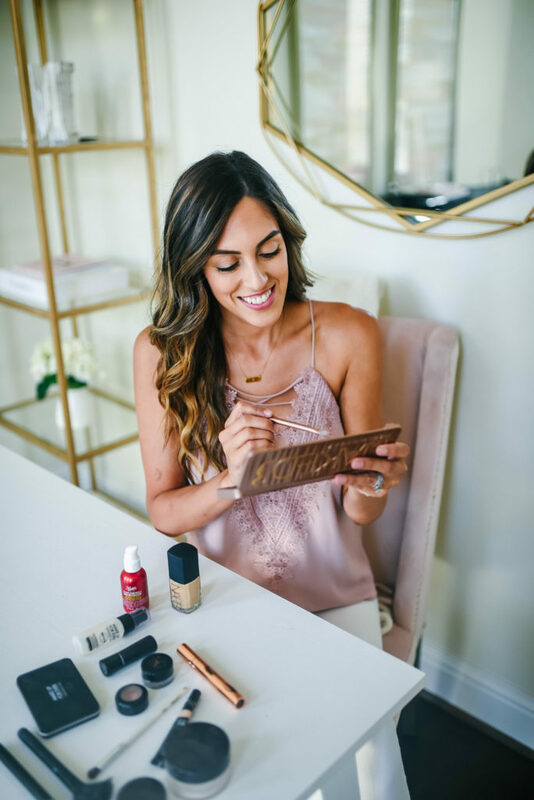 Step 8: Grab your Charlotte Tilbury mascara and generous layer it on your lashes. I will sometimes do other parts of my makeup routine and then go back and add a little more mascara if I want it to pop more. Step 9: Grab THIS brush and use THIS pomade to really enhance your eyebrows. I truly believe they make the face and love that darker and fuller eyebrows are in because they are gorgeous. 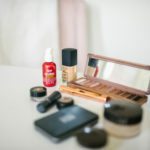 Step 10: I then use THIS trio palette which contains a bronzer, blush and highlighter to really make my face come together. 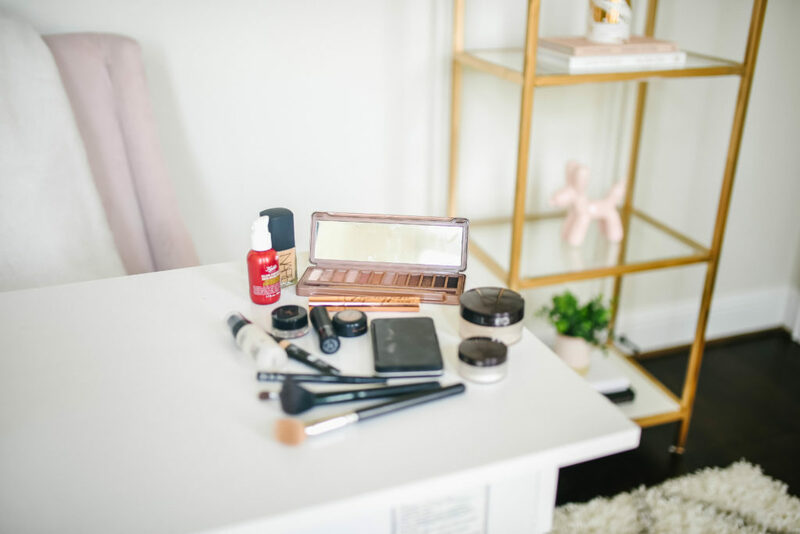 For the bronzer I place it like a 3 around my face, from forehead to my chin, and the blush on the apples of my cheek, while the highlighter goes on my cheeks, under my eyebrow corners, on the top of my nose and my cupid’s bow. 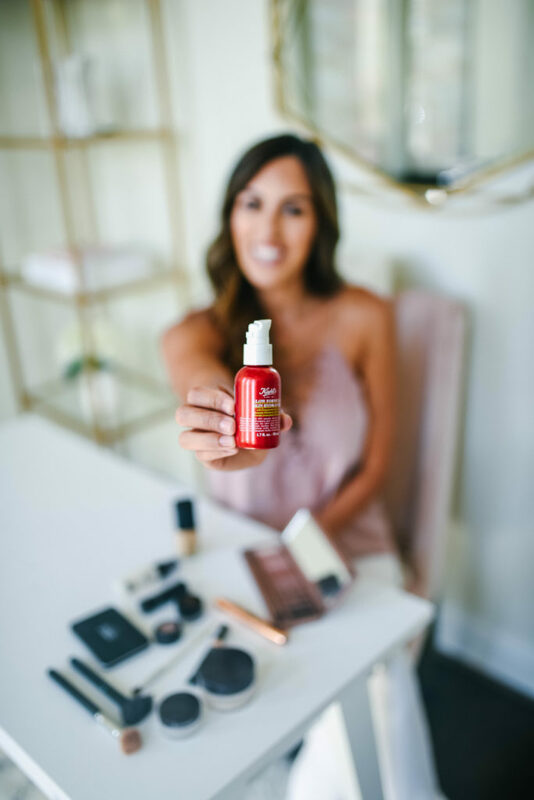 Step 11: Then your second to last step it so set your face with your favorite setting spray to make sure it lasts through those summer does. My favorite I have been using for years is THIS and THIS. Step 12: Lastly add a perfect lippy and your all set to go. Mine is no longer available but HERE is one that is almost identical and from the same brand and called SNOB. I’ll be doing a full tutorial on my IG sometime today or tomorrow so make sure to head there, and if you miss it I will be leaving a highlight story and links to everything as well. Thanks so much for reading and a fabulous week!! Thank you to Nordstrom for sponsoring this post. As always all thoughts and opinions are my own.